So as I explained yesterday, I’ve probably eaten well worth my weight in chocolate eggs before Easter even rolls in to celebrate (I’m actually a “Member of the Tribe” so Easter is all about the candy for me 😉 ). 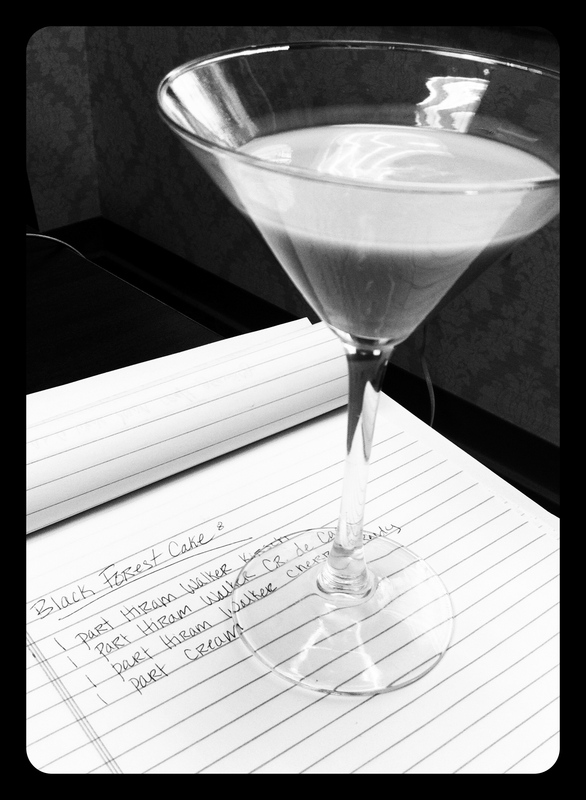 But to allow myself a sweet treat, I wanted to create a drink recipe that uses Hiram Walker’s Créme de Cacao with a lightly fruitful component – the Créme de Banana! 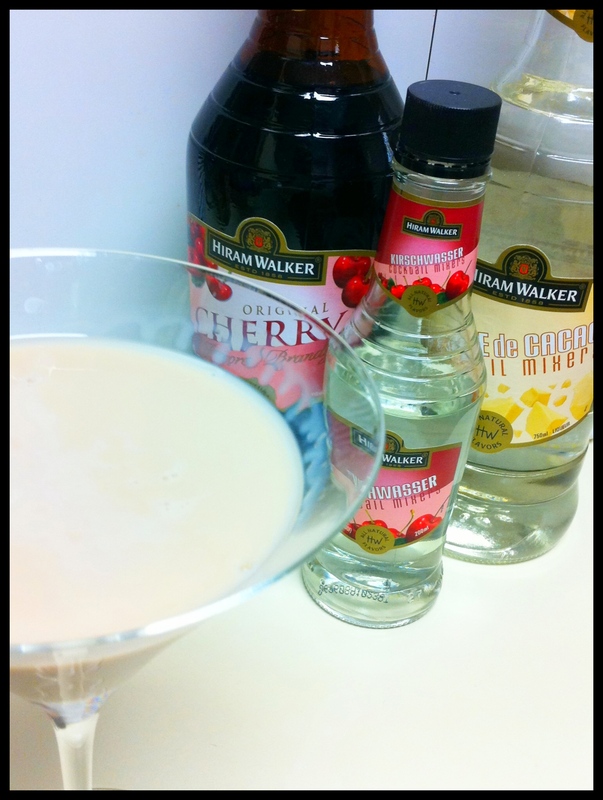 Along with a small splash of Kahlua, this drink definitely called for the use of Cream to balance the otherwise immensely sweet flavors. What resulted is what I would consider a Hiram “Simpletini” – a cocktail recipe using a minimal number of ingredients in an easy-to-deliver service method. I hope you’ll enjoy this one as you spend time with family and friends this weekend. Shake all ingredients with ice and strain into a chilled cocktail glass. 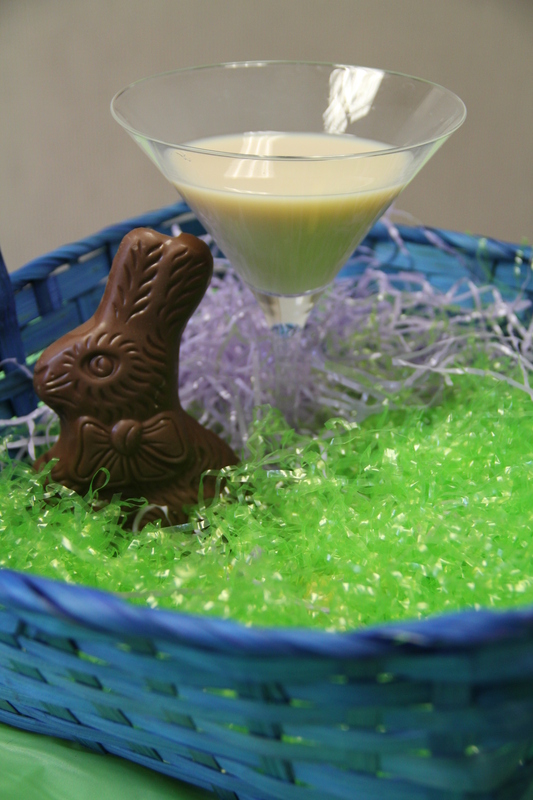 Garnish with shavings of semisweet chocolate and serve. There aren’t very many commonly called for cocktails that use brandy as the main liquor, but the Brandy Alexander is certainly included in that short list (others that come to mind would be the Stinger or the Sidecar). But did you know that the classic Alexander recipe was originally considered a gin-based drink? I didn’t until I had read Gary Regan’s contributing article on Liquor.com earlier this month on the cocktail once known as the Alexander #2. 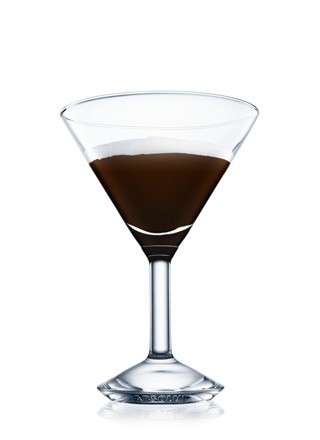 A slight variation on this classic cocktail, Hiram Walker adapts the Brandy Alexander using its Dark Crème de Cacao and adds a splash of coffee to compliment the hints of dark chocolate and nutmeg. Take a break from Martini Monday (or Margarita Monday, we’re not biased here!) 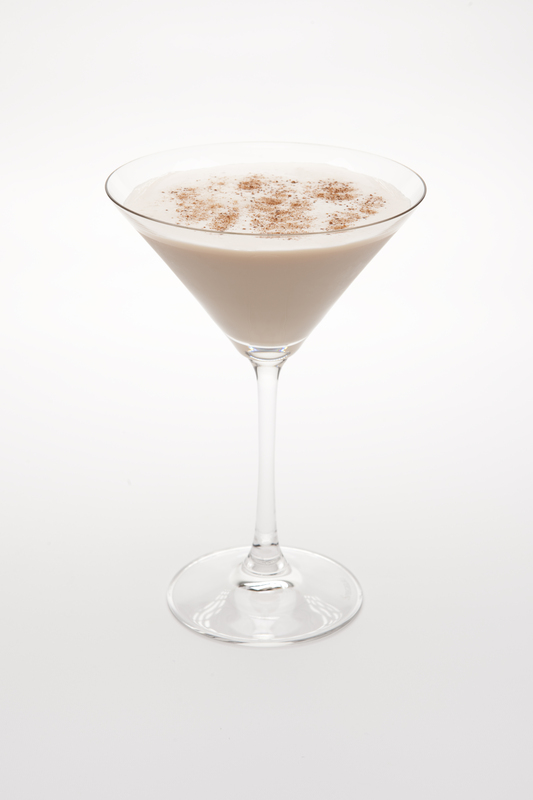 and give the Brandy Alexander a try tonight for Brandy Alexander Day. Add all ingredients to a shaker filled with ice. Shake and strain into a stemmed cocktail glass. Garnish with grated nutmeg.